Can an Aspirin a day keep the doctor away, or is it too risky? Can an Aspirin a day Keep the Doctor Away? They Say an Aspirin a day can keep you, doctor, away. Ok, we all know that rhyme and I think it was suppose to be for your dentist with Apples. So does low dose aspirin a day help keep you from having a heart attack or stroke? According to the American Heart Association, they advise taking aspirin with caution. How do you know your High Risk for Heart Attack or Stroke? When you see your physician, they will run a blood test to check your cholesterol. High Cholesterol can lead to clogged arteries. High cholesterol in some people is based on their diet and in others their genetics. If you are high risk and would like to take precautions to lower the risk of a heart attack or stroke, you can make an aspirin each day. What are the Risks of Aspirin? Under certain circumstances taking aspirin can be deadly. A person may have an allergic reaction or susceptible to gastrointestinal bleeding. If you drink alcohol excessively can lead to liver problems which taking aspirin can cause further damage to the liver. Taking aspirin while going through surgery is another problem in mixed with other pain medications. If any of the risks of taking aspirin, then you need to talk with your physician to make sure this is right for you. 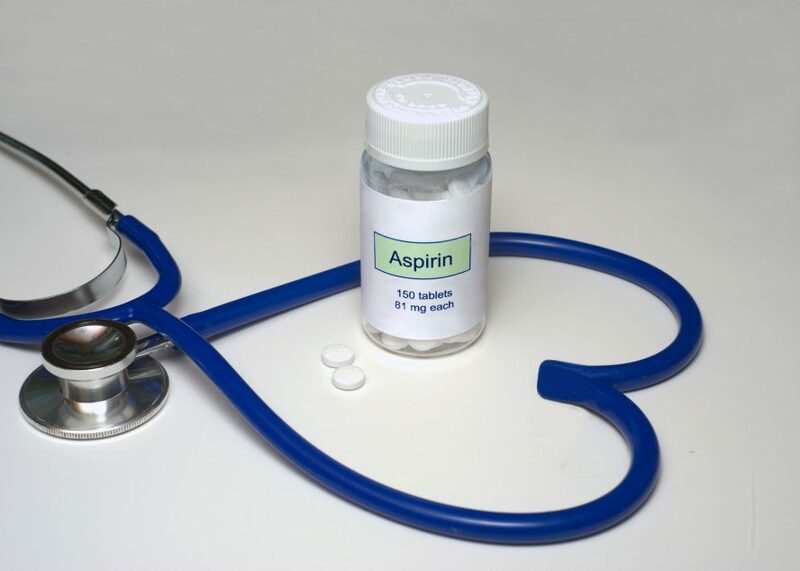 Do Low Dose Aspirin Prevent Heart Attacks? The New England Journal of Medicine reported about a random study that low dose aspirin can prevent heart attacks. They took less than 40,000 women and had half taken a low dose aspirin per day and the other with a placebo. By the end of the study only proved that there was a 17 percent better chance of those who took the aspirin versus those on the placebo. The study does not confirm that taking aspirin will prevent a heart attack. How to prevent a Heart Attack? The first thing you should do is visit your physician and find out your risk factor. This can be your overall health. After the age of 40, you need to have an annual checkup. The risk factors for a heart attack is high blood pressure, high cholesterol, and a genetic risk factor from the direct bloodline. If you are high risk or your family is, The Beating Heart Center is here to help you know what to do if your family end up having a heart attack. We like to help you improve your confidence to save the lives of those you love and care.